Joan Jerkovich “Your” Life Coach~Turn Friendship into Romance? Home → Dating Relationships → Joan Jerkovich “Your” Life Coach~Turn Friendship into Romance? A girl I met at the gym has turned into my workout buddy. I’d like to ask her out, but I’m not sure she see’s me as anything more than just a friend. I’ve never dated much so don’t know how to approach her. This is one thing a lot of girls just don’t understand about guys…they think you just want to be their friend, when in reality, you guys just want to get in their pants. (Don’t groan as you read this because you know I’m right on this one!) What you need to do is find your male confidence and swagger. Change the way you interact with her. Send her “potential date” signals by flirting with her; compliment her, look her in the eye, keep the conversation focused on her, and find ways to casually touch her. Keep things light and playful. Observe other guys who seem to easily send out these types of signals to women and copy some of their moves until you find your own signature style. How can you project confidence toward women you’d like to date? What do you need to do to find your male swagger? What is your game plan for entering the dating arena? 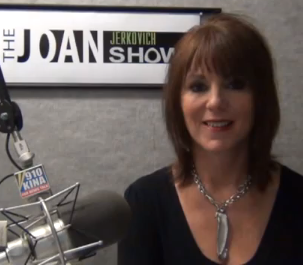 Joan Jerkovich is a Board Certified Life Coach. 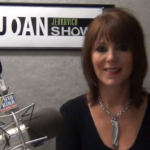 Email her your questions @ tjjs.radio@gmail.com, or arrange a time to talk with Joan in person on her radio talk show at www.joanjerkovich.com.